The car industry has come a long way that having a car radio is no longer enough. It would be more awesome to have a DVD player as well, especially if you are someone who is on the road a lot along with your family or friends. It is not that easy to buy something like this without getting ripped off, especially if you buy it online. Why? Because you won't really get to test it before you leave the store. You kind of just have to take the word of what's advertised in there and hope for the best when it arrives. This is when a product review becomes handy because you can get opinions and facts from people who have their first-hand experience with the said product. 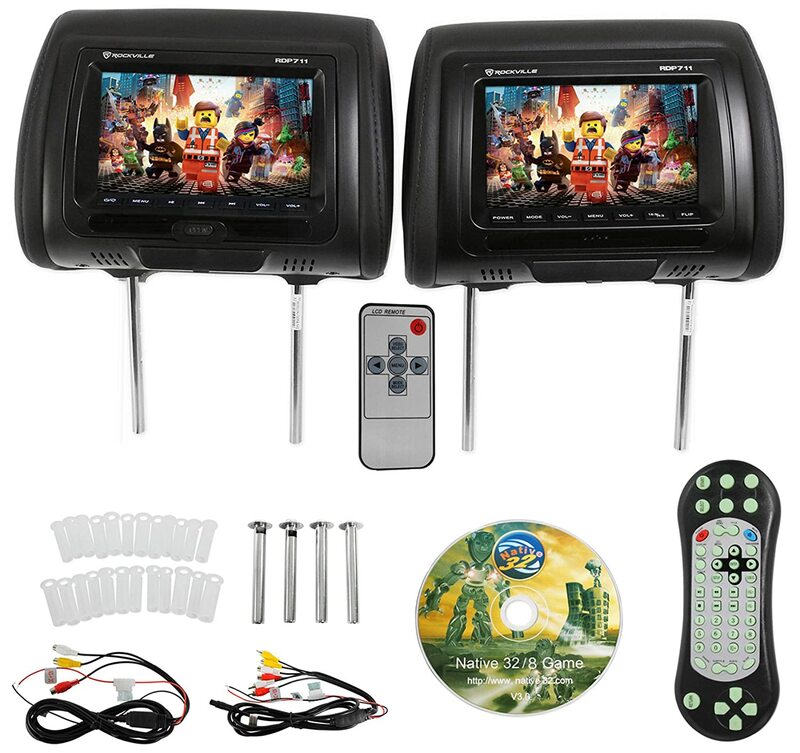 Now, before I give you some of the best car DVD players out there, I would like to educate you first on what exactly it is that you need to consider before spending your money for it. Unlike choosing a Bluetooth Car Stereo, the criteria for choosing ar DVD players need more information. Here are some of the features that make each of these gadgets different from each other, which would then give you an idea on how to buy the right one for your car. 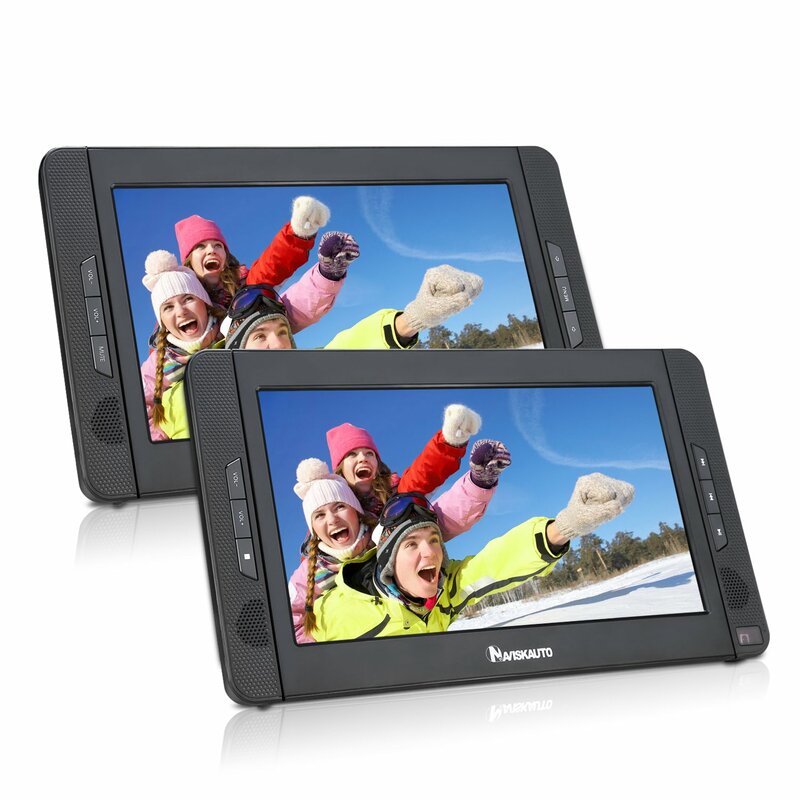 Video Resolution: Some car DVD players have that high def feature in their video resolution that some could go up to 1024 x 600 while others could only give you 800 x 480. If you are someone who is meticulous when it comes to quality and clarity, I will suggest that you buy the one that delivers a high def in video resolution. Battery Span: Although most if not all of these car DVD players released these days have rechargeable batteries, I would still pick the ones that could give you a longer lifespan. There are good ones that could last up to 5 hours and even more of battery life while there are some that could only give you 2 hours. Video File Compatibility: Not all of car DVD players could play all types video files. There are some that could only work with DVDs alone and there are others that could open files from USB flash drives and SD cards that have different kinds of video and even audio files. Anti-Skip Mechanism: It is always annoying whenever you try to watch a movie and in the middle of it, the disc would skip. Pick those that have this feature so you would maximize the use of the player in a smooth manner. Price: I wouldn’t always recommend it to buy the cheapest but I would rather go for a reasonable price. Also, just because it is expensive, doesn’t necessarily mean that it would be perfect. This happens to be a bestseller because of the many features it has for a car DVD player. Battery Life - This one has an extended battery life of about 5 hours more, which allows you to have a movie marathon while on the road. It has a rechargeable battery as well so it saves you from buying a new one everytime it runs out. Digital - It is a perfect example of a modern day entertainment gadget because everything about it is now digital. I'm talking about it having a USB port where you could simply insert your flash drive that contains your favorite movies or TV series. This also has an alternative SD card reader if you have your files saved in that kind of device. Compatibility - If you are the type who still uses old school movie devices, then this one would also work for you since it is compatible with all CDs and DVDs mainly created for music and movies. Should your flash drive or SD card contains movie files on WMA, VOB, AVI, MPEG1, and XVID, the good news is that it could also read it. A bonus thing on this player is that you could also view JPEG files like pictures. Durability - It is shock resistant, so you don't have to worry about it being damaged or messed up when you happen to drive on a bumpy road. Accessories - This comes with a remote control, so it would be easy for those who are in the far back seat to control whatever it is that they want on the screen. It has both the AC and car adapter along with an AV cable in case you need it. Screen - You could move the screen in any angle you want since it is capable of rotating about to 360 degrees! 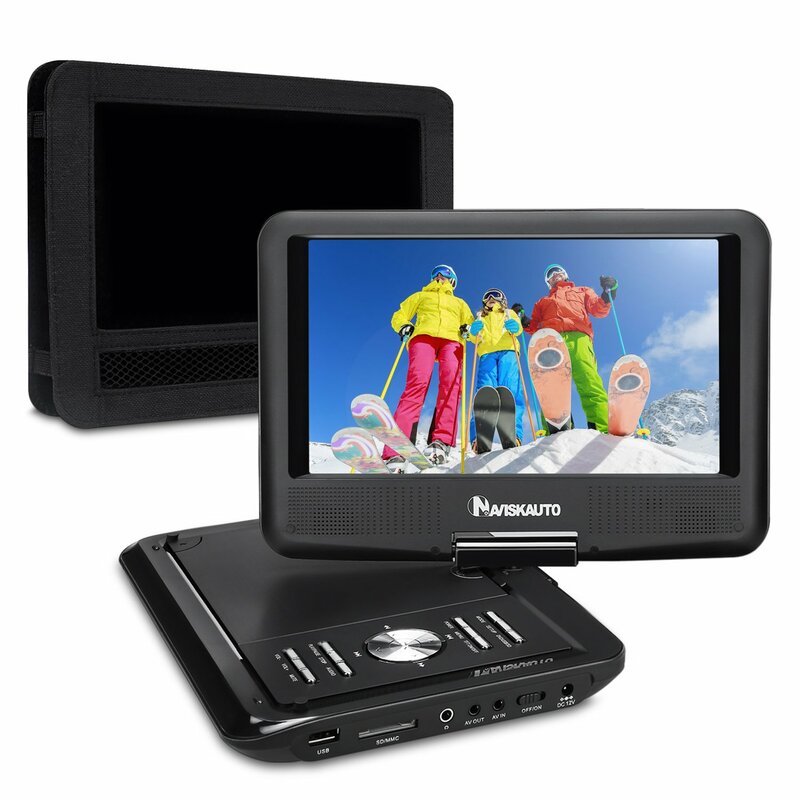 Budget - This might not be too ideal if you are on a budget because there are other cheaper car DVD players out there compared to this one. This is one of the most in-demand car DVD players out there because of the many high-tech features it has like its LED screen. Video Quality - This one has a resolution of 1024 by 600, which is higher compared to what others could offer. It has a screen size of 10.1" on LED, which guarantees excellent video quality. I personally love the feature where you could set the mood lighting with it simply by using its on and off switch. Skipping Issue - It is annoying whenever you watch a movie and it just skips because of the disc or some technical issue in the gadget. Using this player would spare you from that trouble because of its anti-skip feature. Energy Conservation - If you are worried that using it might use up a lot of the energy of your car battery, this one shouldn't be a problem since it is using LED lights. They are known energy savers. Compatibility - Just like the product I have reviewed earlier, this one is compatible with all known media types including the usual AVI, MPP, MP3, MPEG4 and WMA just to name a few. When it comes to disc, aside from the usual CDs and DVD, even DVD -RW and CD-RW are also compatible with this one. 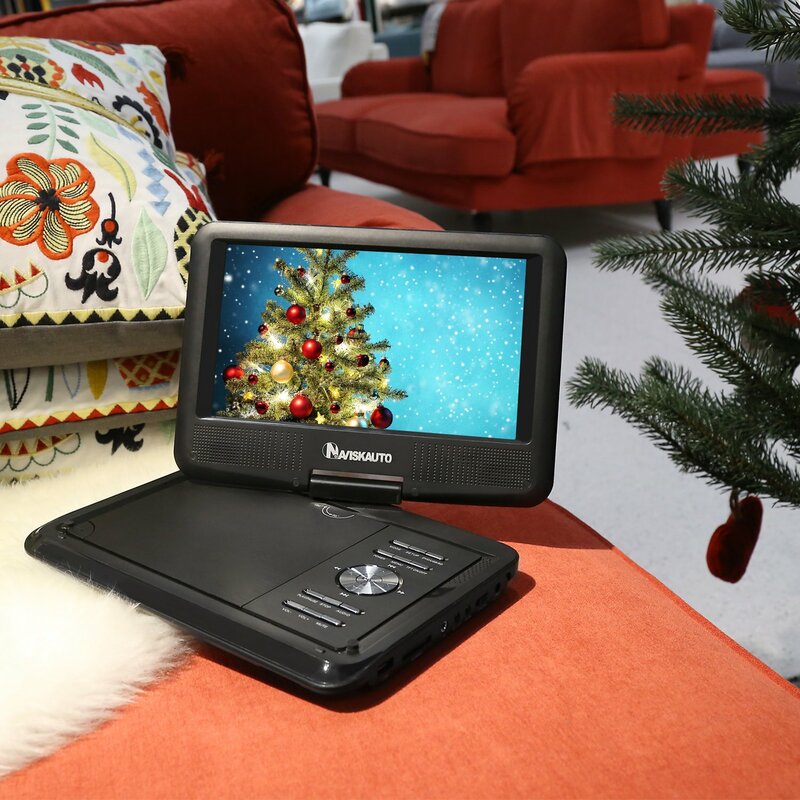 Digital Life - It can also read movies and play music using any USB device and SC cards. Gamers Haven - You could play some video games with it because of it amazing gaming control settings. Price - I would go ahead and say this is not ideal for those looking for an affordable one because it is quite pricey for a car DVD player. Size - If you are looking for something light and small, then this might not fit what you want since it could weight up to 5 lbs. It is kind of heavy for a car DVD player. This one is ideal for those who are meticulous with the design or theme of your car. If you want something that looks extremely modern and hip, then this might just be the DVD player that you are looking for. Monitor - This has two monitors and you can play any form of media that you have in it. Battery - This comes with a lithium rechargeable battery, so you won't have to worry about buying new ones every now and then. This too has an extended 5 hours of battery life for longer hours on the road. 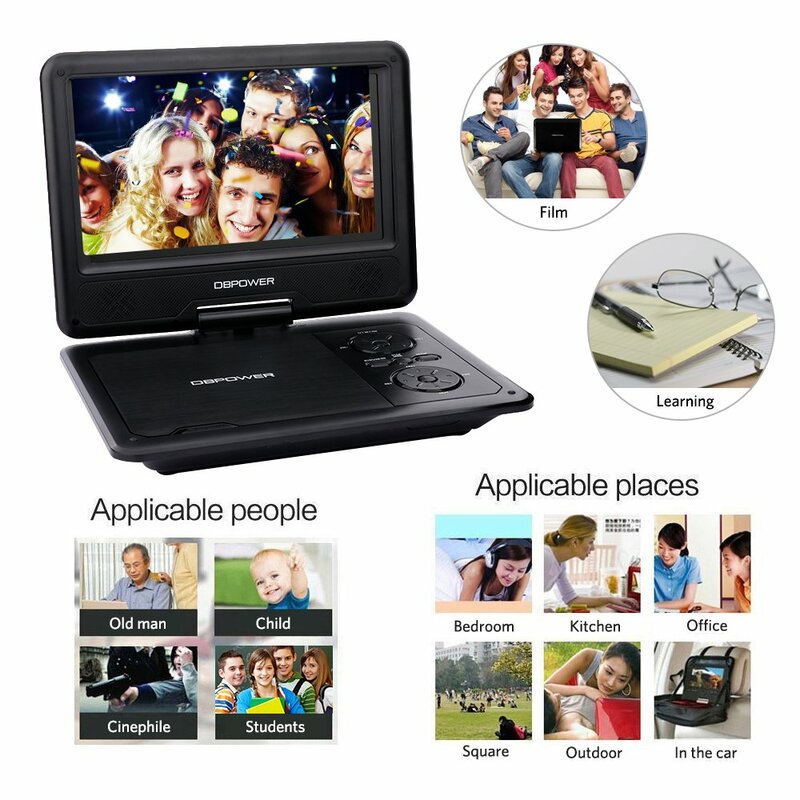 Compatibility - Any form of DVD device including CDs and VCDs are compatible with this one. You can also watch movies from your USB drives and SD card files. Durability - This could last for a long time even when you have kids around. It doesn't really easily get broken unless it was intentional. Wire Situation - You might be a little disappointed with the wiring on this one because they're quite a lot to deal with. If you are not exactly a savant in determining which wires to hook up the ports to, then you might get so confused in having to handle this. This is almost just like the one that I featured on number 3, only this comes with a 9-inch monitor. Screen - This screen can tilt up to 270 degrees with a resolution of 800 by 480, which is not bad for something that is not exactly HD. Durability - It is durable enough to last for a long time, especially having an anti-shock feature. This is handy when you're off to a bumpy road trip ahead. Battery Life - You can enjoy watching longer films because of its battery lifespan that could last up to 5 hours. Last Memory - You will love this feature because it allows you to pick up where you left off from the last movie that you saw using it. This means you don't need to start over. Accessories - This comes with a remote control and a head mount case for you to easily mount it on the back part of your car seats. This also has a wall charger and even a cigarette charger if you are someone who uses one of those vape cigs. Video Hanging - Sometimes you will experience the video hanging, especially if the player has been on for a long time without you rebooting it or giving it a rest for a couple of hours. It could be annoying at times but it doesn't really always happen. Battery Life - Unlike the others that could brag about having a long lasting battery life, this one could only run up to 3 hours. Sometimes, even less and it will all depend on your use. 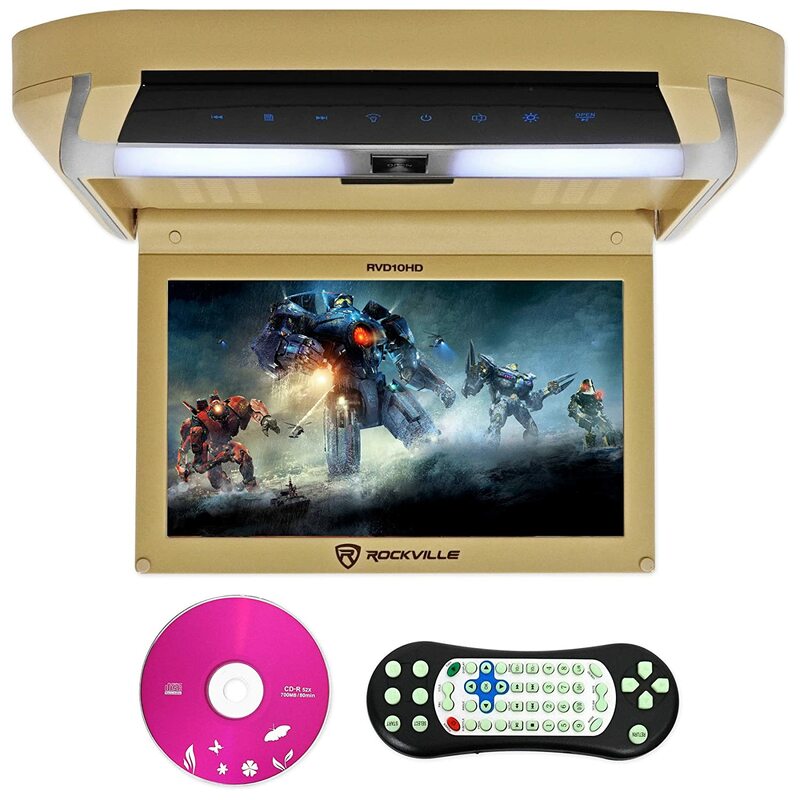 This is a DVD player that is ideal for cars, especially when placed in the back seat for passengers. It comes with headrest monitors and it is also perfect for gamers. There is an HDMI input in case you want to put another device in there like a raspberry pi or even a mobile device. Compatibility With Video Devices- This works in whatever multimedia file that you have whether video or audio. There is even a VCD playback here that you could enjoy. Other USB enabled files like MP3 and MP4 can also be played along with WMA files. Wireless Audio- Enjoy wireless audio playback from this device because of its FM transmitter that is built-in. This means you can have the playback or hear whatever it is that you are playing on the video straight from your car's audio speakers without the need to hook up wires or cables in it. Price- The price is pretty steep for a car DVD player. Video Resolution- Don't expect the quality of video to be in HD because the screen resolution of this one is only 800 by 480, while others are about 1000 by 500. All these products are among the best sellers online and customers have their fair share of satisfaction from purchasing them. A car DVD player is always handy these days, especially if you find yourself always on the road with a lot of people. You wouldn't want to bore them during long hours of driving. Giving them movies and shows to watch and even games to play are your best options to keep them busy. 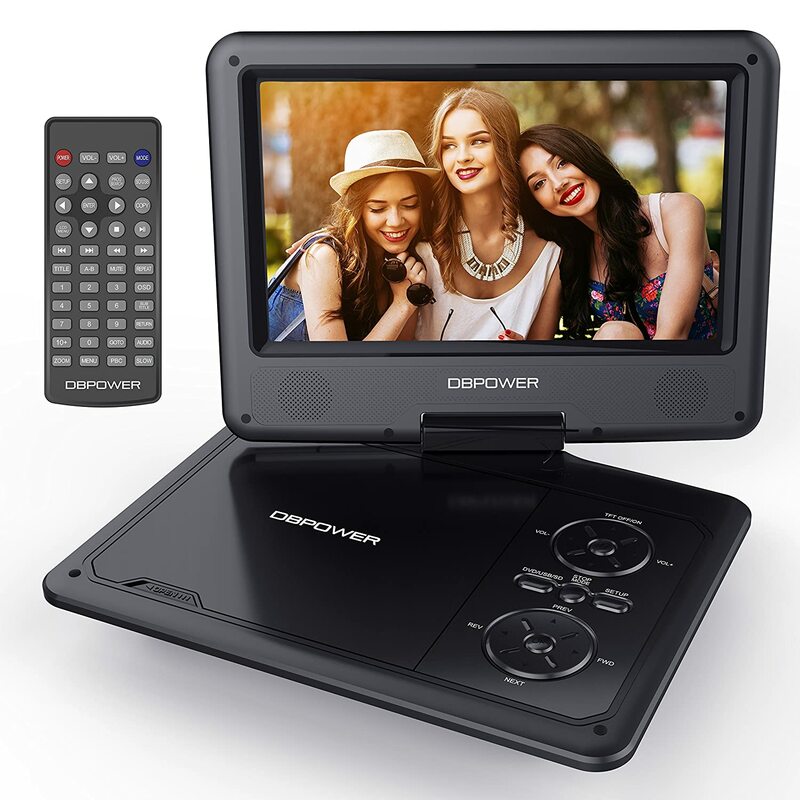 And out of these 5 products I have reviewed in this article, I have to say that the DBPOWER 9.5-Inch Portable DVD Player with Rechargeable Battery, SD Card Slot and USB Port is the best car DVD player for your vehicle. It has everything that a modern-day car owner is looking for. It delivers what it does and the quality is at par with a world-class standard. You can buy it straight on this link. I want to know if this article has helped you in your quest to finding the best car DVD player by commenting on the box below. Share this to your friends and loved ones who might need it so they too could learn about it.